Across Queensland there are many active events you can participate in. From joining a fun walk/run with the family or challenging yourself to beat a personal best, to swimming, cycling or even climbing a mountain – anything that gets you moving. 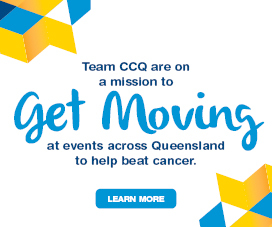 Add a fundraising element to your challenge and make a true difference to the lives of Queenslanders affected by cancer. See the events below where you can join Team CCQ. Whether alone, or with a group of friends or colleagues, your contribution goes a long way. 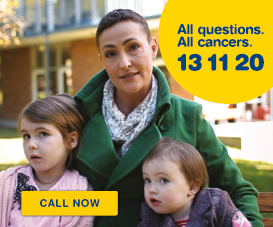 Cancer Council Queensland is committed to all Queenslanders, all cancers and our vision is for a cancer free future. As a community we can make a difference to the one in two Queenslanders diagnosed with cancer by the age of 85 and your efforts will help us continue to fund vital research, prevention and support services. What’s more, one third of all cancer cases are preventable by making simple lifestyle adjustments. Whilst impacting the lives of others, you are taking steps to maintain a healthy lifestyle and reducing your own risk of cancer. An online fundraising page to track donations and allow your friends and family to follow your journey. A personal Team CCQ fundraising advisor. Discount entry to some events. Invitations to join Team CCQ in our finish line VIP tents. Unlock prizes and rewards such as raise $50 to receive a Team CCQ limited edition singlet. 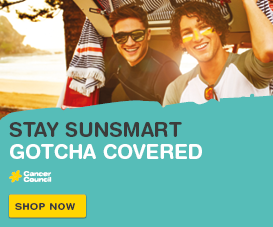 Beat your personal best and help beat cancer! An event for all. 2 and 4km junior dash, 5.7km, 10km, half marathon and marathon.